This new version is most likely last version in the 4.0 cycle for GD Press Tools. Soon, development on 4.1 will start, but as always, if needed, emergency bug fixing versions for the 4.0 branch will be released. For now, read on to find out what changes GD Press Tools 4.0.9 brings. Since WordPress 3.2 Beta is released now, I have made preliminary tests for GD Press Tools and new WP. Except for few styling issues, everything works fine. Plugin version 4.0.9 includes fixes for these styling problems. Detailed report on new WP Beta is coming next week. Debug panel is expanded to include info about $_SESSIONS super global and details for all registered post types and taxonomies. Fixed bugs include: pinned dashboard widget had invalid edit link and invalid security report on plugin front page. Main new feature for this release is toggle control for admin bar. You have control of the position from the right side, default status for the admin bar (opened or closed) for both admin and frontend sides. In network mode, global settings for admin bar can override individual sites. All features of the Pro version work with WP SUper Cache? I use W3 Total Cache and it works fine. But, on admin side, some object caching W3 plugin adds can cause problems with crons (this is not related to GD Press Tools, it happens in anycase if cache plugin is not set properly). No one reported any problems with WP Super Cache so far. …i in the lite version, post views counter work showing less post view than they are really. Nothing to do about that if the database/object caching is on. 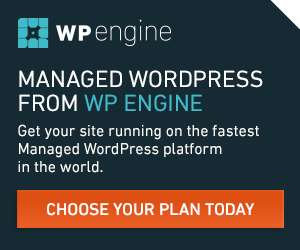 Cache plugins replace WP database object with own object to cache data and queries. So, data that relies on database to work will not be current. GD Press Tools can’t do anything about that.